What better way to kick off an edition of the Forza Week in Review than with news of an expansion? 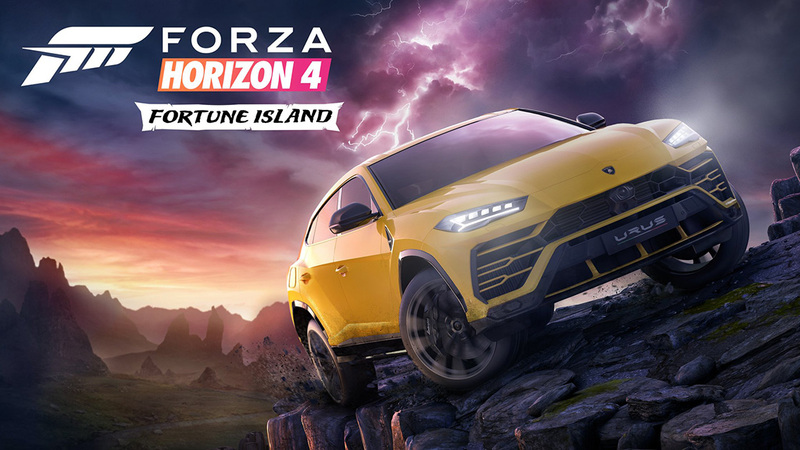 This past weekend, during the X018 broadcast of “Inside Xbox” from Mexico City, Playground Games announced the first expansion for Forza Horizon 4 – Fortune Island! In a brief video hosted by Playground’s Ben Thaker-Fell we heard about the first details of what is going to be the largest expansion ever in the Forza Horizon series. The location? The mysterious Fortune Island, home to wrecked Viking warships, ancient castles, and, by the sound of things, lots and lots of treasure. You’ll be hunting that treasure on this island full of epic driving experiences, including ravines, cliff-top roads, and drift-ready paved mountain switchbacks that would make the Alps’ Stelvio Pass blush with shame. 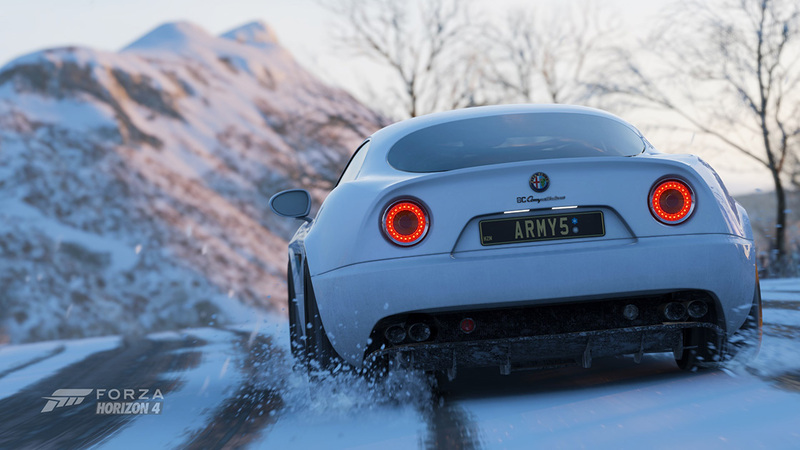 In addition to the extreme terrain, players will also experience some of the most ferocious weather in Forza history with thunder and lightning storms, as well as the gorgeous hues of the Aurora Borealis. During the brief teaser, we also caught a glimpse of new Lamborghini Urus, which is one of the drivable vehicles that will be part of the expansion. Look for much more information on Fortune Island in the coming weeks ahead of its release on December 13! 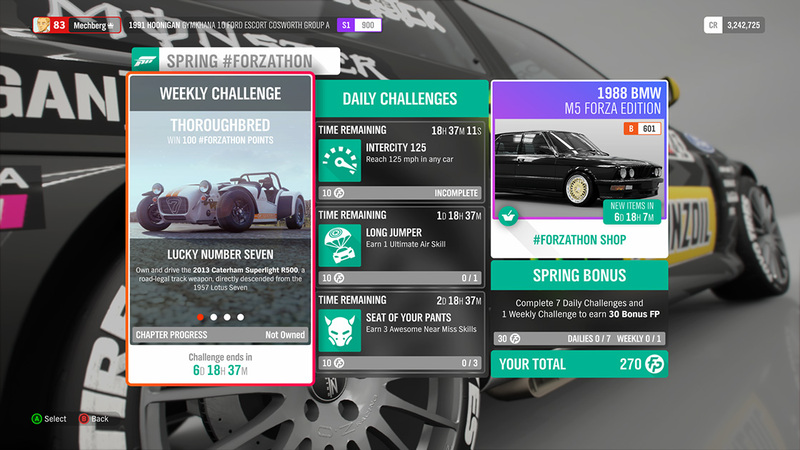 Live from Playground Games, don’t miss Monday’s special Forza Horizon 4 stream starting at 10 a.m. Pacific/6 p.m. GMT on the official Forza Mixer and Twitch channels. During the show, the team will be showing off the latest goodies from the upcoming Series 3 update for the game. The team will also be joined by a special guest for an expert’s insight into the great user-created Blueprint events the community has been sharing. Don’t miss this in-depth look at what’s to come in Series 3! If you can’t get enough of Hoonigan and the Gymkhana cars, don’t miss out on the new Amazon Prime Video series “The Gymkhana Files” which debuts its first two episodes today on Amazon’s video streaming service. Look for two episodes per week leading up to the debut of GymkahanTEN. 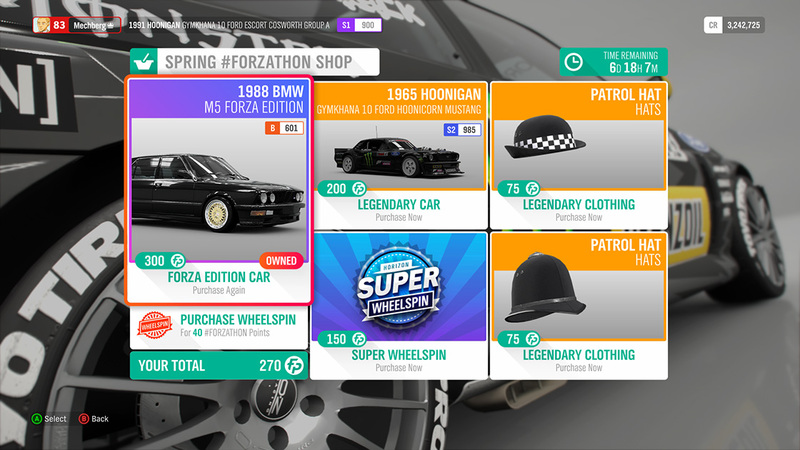 The 1988 BMW M5 Forza Edition and the 1965 Hoonigan Gymkhana 10 Ford Hoonicorn Mustang are available in the #Forzathon shop and there are two new Vauxhall models in Forza Horizon 4 this week for Car Pass owners – the 2010 Vauxhall Insignia VXR and the 2004 Vauxhall VX220 Turbo. Earlier this week, Turn 10 launched the latest update for Forza Motorsport 7 (ver. 1.149.2093.0). This update fixes an issue where players were incurring 100% damage after running over kerbs on certain tracks, while driving with Simulation damage enabled. For the full list of Release Notes for Forza Motorsport 7, check out Release Notes & Known Issues on the Forza Support site. 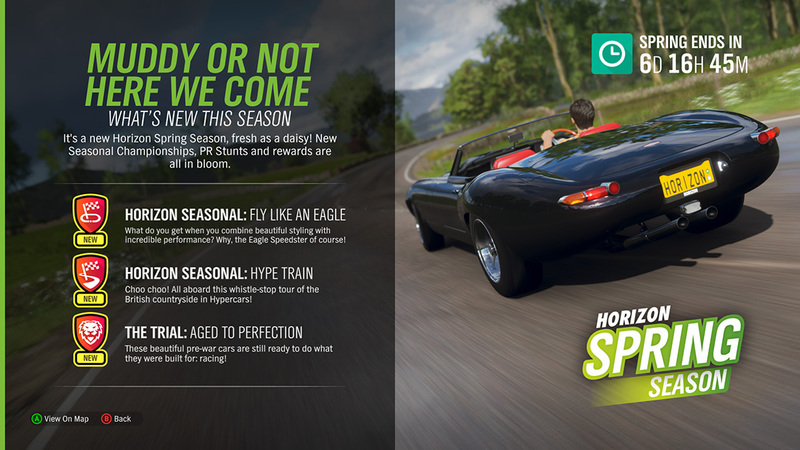 Starting this week we’re opening a brand new contest and the prize is a small slice of Forza immortality. 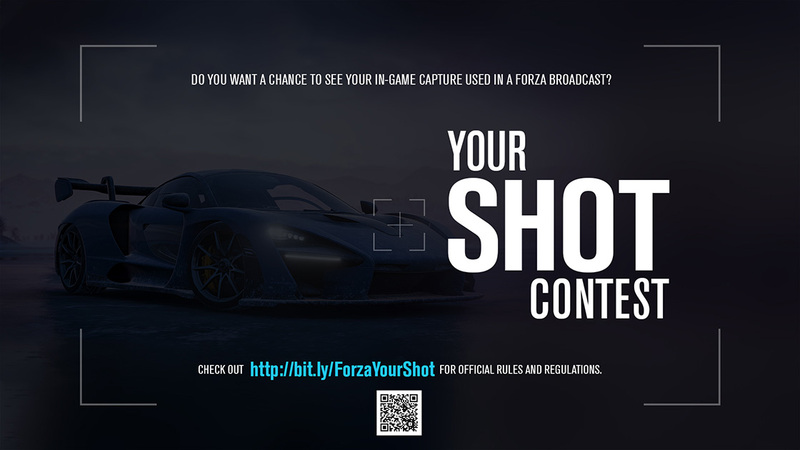 We’re opening a new photo contest where the winning entries will be used as intro and outro graphics for two of our weekly streaming shows – Johniwanna’s “Thumbs Up Thursday” and StarGirlRacing’s “#HeyWatchThis.” This contest is different from our normal photo contests, in that is has some specific asks of entrants in terms of which cars to use, liveries, etc. 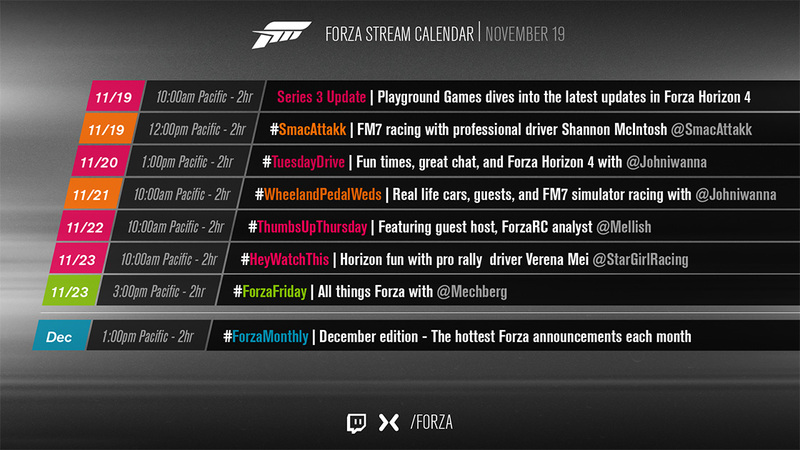 For the full rundown, check out the post on the Community Events section of the Forza Forums. Good luck to all entrants, we can’t wait to see what you come up with. This event ends in December, so don’t miss out! Our celebration of the 50th anniversary of Hot Wheels is full speed ahead in Forza Motorsport 7. In addition to our ongoing events happening throughout the month – like our “Hot Wheels Anniversary Special #Forzathon event – we kicked off a new #Forzathon event this week called “Spitting Flames”. In this event, complete six laps at Road America East Route in the Hot Wheels Twin Mill and you’ll secure the Hot Wheels 1970s Driver Gear. Next week is Thanksgiving here in the States and that means there won’t be a new edition of the Forza Week in Review – we’ll return with another edition on Friday, November 30. If you’re celebrating in the States next week, happy Thanksgiving! For everyone else, have a great week, and we’ll be back with another edition of the Week in Review on November 30!